Where do you find the things? Students write the words in the boxes where they belong or are found. This downloadable printable is recommended for high school students, elementary school students and adults at Elementary (A1), Pre-intermediate (A2), Intermediate (B1) and Upper-intermediate (B2) level. 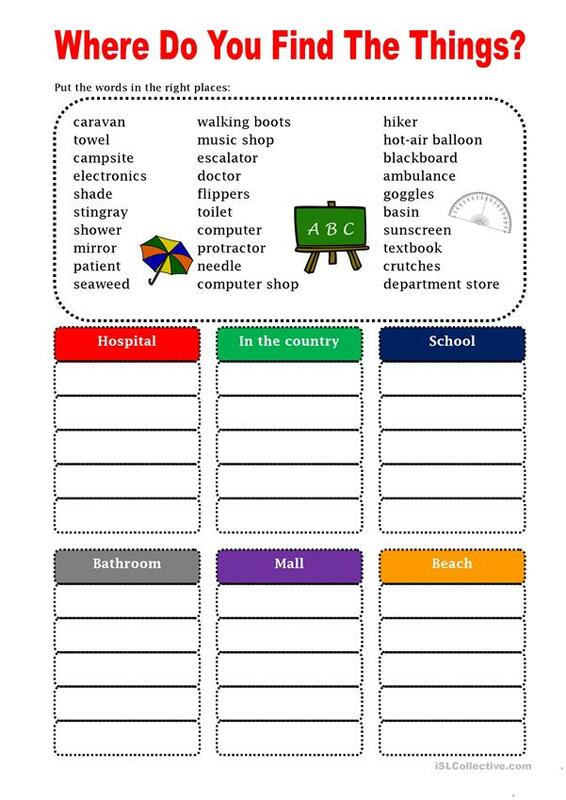 It is useful for honing your class' Reading and Writing skills.